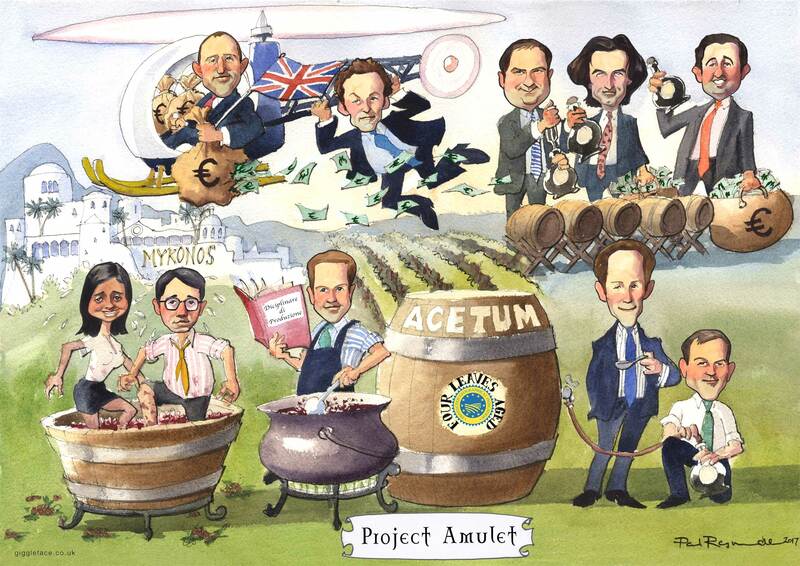 Group Caricature art gift from Goldman Sachs to celebrate the successful refinancing of the Acetum Group – Italian Balsamic Vinegar Producers. Investment Bankers Goldman Sachs celebrate the refinancing of the Acetum Group. They commissioned multiple copies of a framed group caricature as a gift for each person involved in the deal – to be presented at the closing dinner.